The first time I heard of Toby Keith was when I was working at Kerry Packers dispatch dock (back when I had a functioning neck) a mate of mine working there worded me up about him...THANKS TIMMO, LEGEND. 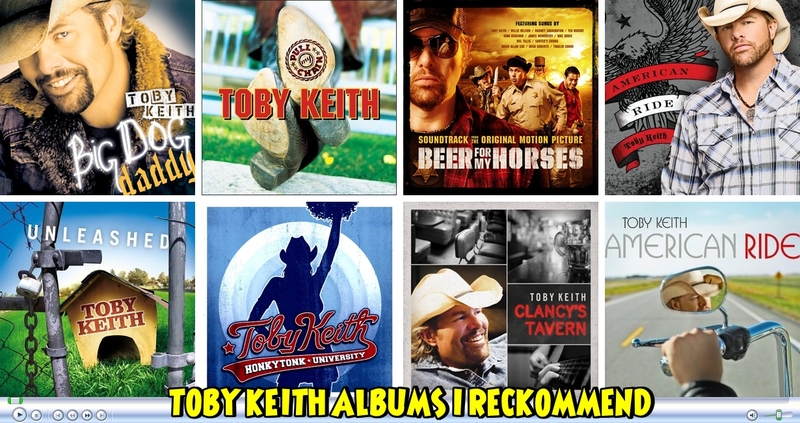 Keith released his first four studio albums—1993's Toby Keith, 1994's Boomtown, 1996's Blue Moon and 1997's Dream Walkin', plus a Greatest Hits package for various divisions of Mercury Records before leaving Mercury in 1998. 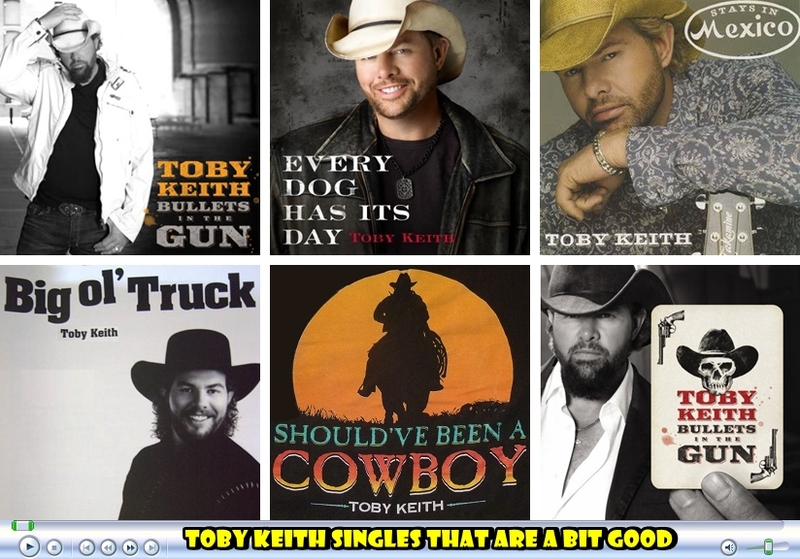 Toby signed to Nashville DreamWorks in 1998, Keith released his breakthrough single "How Do You Like Me Now?!" 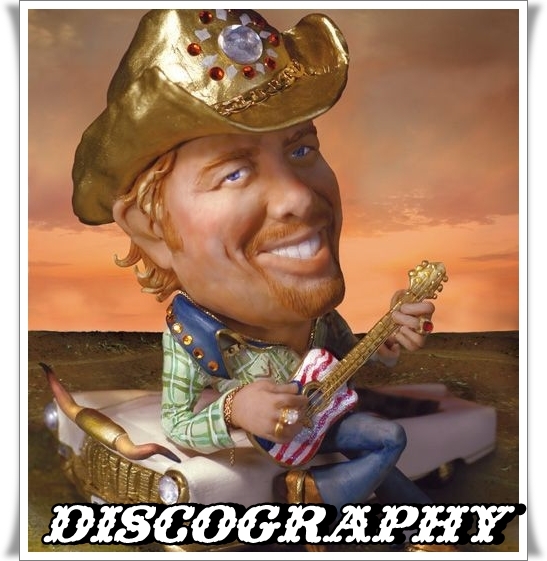 that year, the title track to his 1999 album of the same name, was the Number One country song of 2000, and one of several chart-toppers during his tenure on DreamWorks Nashville. His next three albums, Pull My Chain, Unleashed, and Shock'n Y'all, all produced number ones each, and all of the albums went multi-platinum. A second Greatest Hits package followed in 2004, and after that, he released Honkytonk University.....When Dreamworks closed in 2005, Keith founded his own label, Show Dog Nashville, which became part of Show Dog-Universal Music in December 2009. 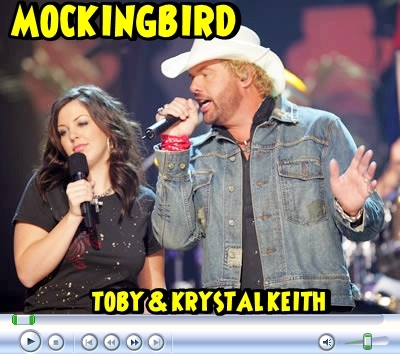 He has also signed several other acts to the label, including Trailer Choir, Carter's Chord, Flynnville Train, Trace Adkins, Mac McAnally and Mica Roberts. 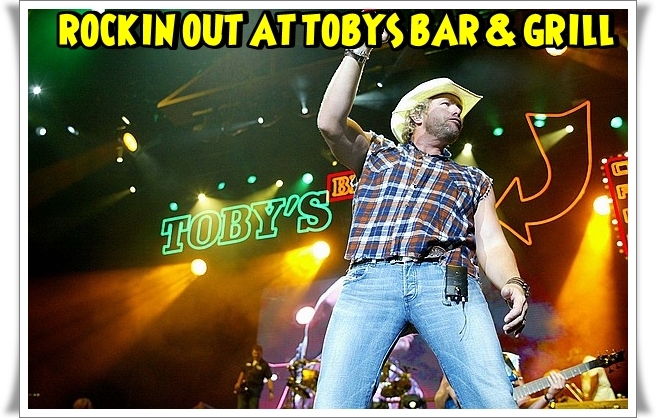 Toby also dropped the axe and made his acting debut in 2005, starring in the film Broken Bridges and co-starred with comedian Rodney Carrington in the 2008 film Beer for My Horses. 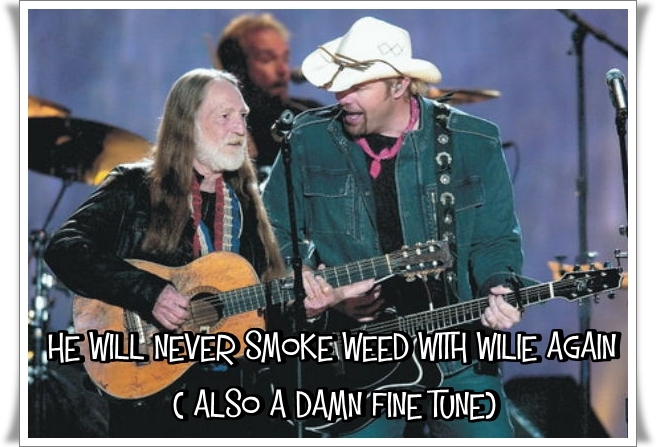 His longest-lasting Number One hits are "Beer for My Horses" (a absolute cracker of a duet with Willie Nelson) and "As Good as I Once Was" in 2005, these two stayed at # 1 for six weeks a peice....and on the cover side of things, his released "Mockingbird " with his daughtern Krystal Keith. "Should've Been a Cowboy"..."Who's That Man"..."Me Too"..."How Do You Like Me Now?!" 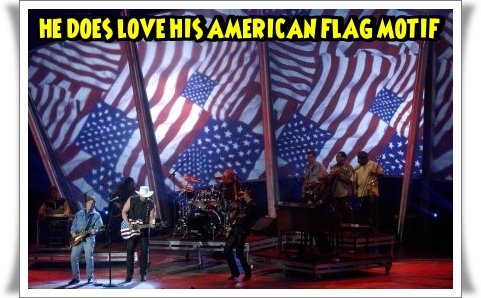 "You Shouldn't Kiss Me Like This"..."I'm Just Talkin' About Tonight"..."I Wanna Talk About Me"
"My List"..."Courtesy of the Red, White, & Blue (The Angry American)"
"I Love This Bar"..."American Soldier"..."Whiskey Girl"...."As Good as I Once Was"
"Love Me If You Can"..."She Never Cried in Front of Me"..."God Love Her"..."American Ride"